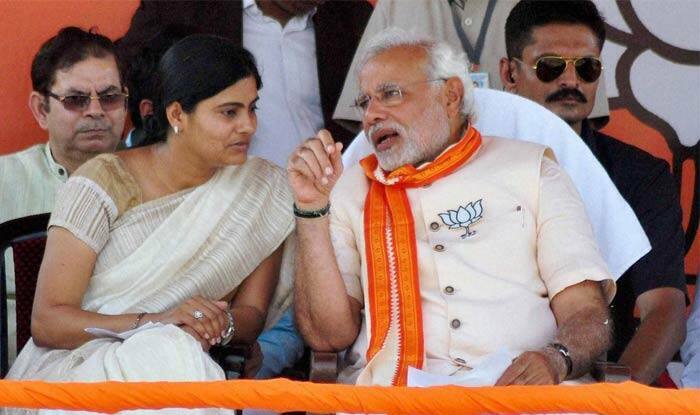 Expressing disappointment, Patel said that though Anupriya Patel is the union minister of state for health and family welfare, she does not get invites to the functions organised by the ministry. New Delhi: Issuing a warning to Bharatiya Janata Party (BJP), Apna Dal (Sonelal) said that it can go to any extent, if the ruling party does not change its attitude towards smaller parties in the coalition. “The party can take ‘any decision’. We have been in alliance with the BJP since 2014 and is discharging the alliance dharma with full honesty. But in Uttar Pradesh it is not at all getting the respect, which it deserves,”Apna Dal (S) president Ashish Patel told party members in Lucknow. Patel, however, clarified that he is not threatening, but making requests. “Our demand is that the BJP government in the state should end the sadness prevailing among the Dalits and backwards caste people. How this will be done? You know it,” Patel stated. “Apart from this, the BJP government in the state has grossly ignored Apna Dal (S) in appointing chairpersons and other officials of corporations. There is a section of people in the BJP, which does not want that Prime Minister Narendra Modi is re-elected in 2019 Lok Sabha polls and it is this section of the BJP, which is torturing us,” he said. The Apna Dal (Sonelal) is a breakaway of the Apna Dal, which was founded in 1995 by Sone Lal Patel. The Apna Dal (Sonelal) was founded by Jawahar Lal Patel, who was also a founding member of the Apna Dal. In October 2014, fissures within the Apna Dal became public for the first time, as the party’s then national general secretary Anupriya Patel was removed from her post.